Are you dreaming about spending a truly unforgettable night with your loved one? Make your dreams come true, discover our dream package, Lusso di Coppia. Discover how to surprise her, pamper her and make her happier than ever by choosing the exclusive Dream for Two package at Al Borducan Romantic Hotel & Restaurant. Memories are timeless: choose a gift that will stay for eternity. Give time, feelings and emotions: they will never fade away. That’s the idea behind Dream For Two, the luxurious hotel package especially created for those who believe in the never-ending power of memories, ideal to celebrate special occasions such as birthday or anniversaries. Choose to spend with the one you love, in absolute privacy and tranquility. “Lusso di Coppia” is the pure essence of luxury: it’s a sophisticated journey made for you and your loved one to unwind and enjoy each other’s company in a romantic Art Nouveau building with a beautiful view over the surrounding hills and lakes. At Al Borducan Romantic Hotel & Restaurant, you are free to be each other’s unique priority. Not only a romantic dinner, not only a weekend getaway…”Lusso di Coppia” is an unforgettable luxurious experience to share with the one you love. Fill her heart with happiness: choose the precious gift of time. Do not miss our special treat: discover the lovely gift box including one bottle of Borducan Elixir and one bottle of our refined spumante Liberty. Bring some authentic Belle Époque charm back home with you. “Lusso di Coppia” is the most romantic break you’ve ever experienced. We remind you it’s highly recommended to book your place in advance: we only have one Suite available at Al Borducan Romantic Hotel & Restaurant and it’s usually reserved, mainly on weekends. We generally suggest you make your reservation at the least six weeks in advance: click here to verify dates and availability. Don’t miss your chance to surprise her with a truly memorable and sophisticated gift. There’s only one Suite available. Would you like to live a Dream for Two? Click at the link below, select your preferred dates among the available ones, proceed to check out and secure your place. What do our guests’ think of Dream for Two? Does the package include a special tasting menu? You’ll be treated to the Belle Époque five-course tasting menu (from starter to dessert) in the charm of our panoramic restaurant hall. You’ll be able to enjoy a gourmet experience at the glow of 87 candles especially lighted up for you and your loved one. Note small variations may be made according to fresh produce availability. Do you accept changes to the menu? Yes, you may request changes to the tasting menu or just order à la Carte for a truly bespoke experience. Please let us know your preferences once you check in at the hotel and it’ll be our own pleasure to try and accommodate you. Yes, you and your other half will be treated to a classy champagne aperitivo to begin with and to a luxurious bottle of Dom Perignon to sip through during your love dinner. Are pets allowed in the hotel rooms? Yes, you are welcome to bring small size pets with you as long as they are quiet and well behaved. What is the standard check in/check out time? You can check in from 3 PM on the day of your arrival and must check out by 12 PM (noon) on the day of your departure. For any further information or special request, please do not hesitate to reach out to us: it’ll be our pleasure to assist you. What do you mean by “Very Romantic set-up”? 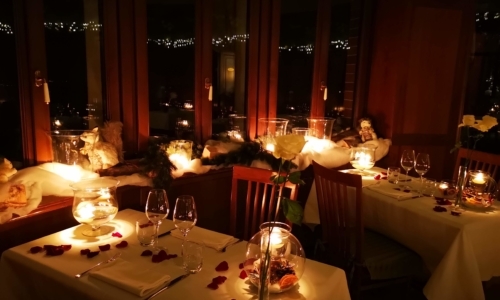 Your Suite will be decorated in a truly charming, romantic way: about thirty candles will be glowing while white and red roses embellish your dinner table. The king-size bed will be covered by a beautiful heart-shaped decoration made of fresh rose petals. 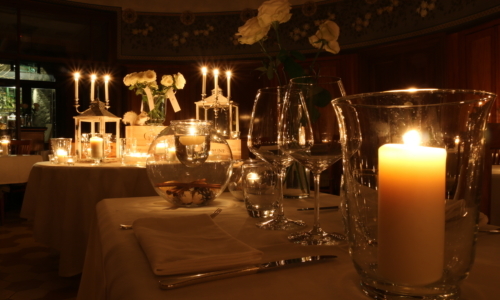 Enjoy the magic of a candlelight dinner in the intimate atmosphere of you luxurious Suite. Is there a Jacuzzi in the Suite? Yes, there is also a Jacuzzi for you to fully relax and enjoy the dreamy atmosphere. 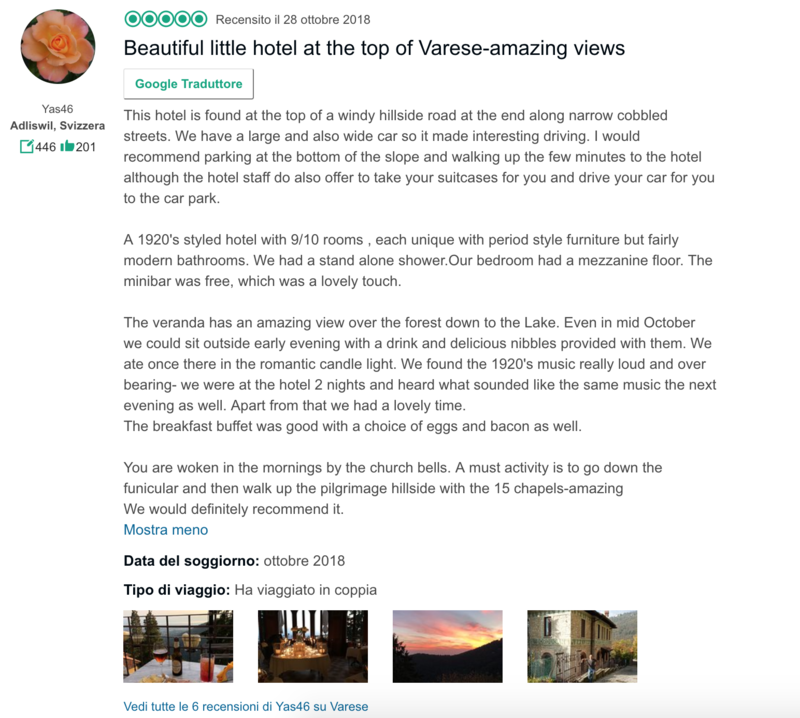 How much does “Lusso di Coppia” package cost? How long before is it recommended to book? As there is only one Suite available at Al Borducan Romantic Hotel & Restaurant, we suggest you make your reservation at least six weeks before your selected date of arrival. At the moment, the first available Saturday night is in three months. “Lusso di Coppia” package requires advanced payment and is not refundable. In case something prevents you from coming, you’ll be able to change the dates of your stay for a maximum of three times: please contact us at least one week before your expected arrival date and we’ll be glad to assist you. 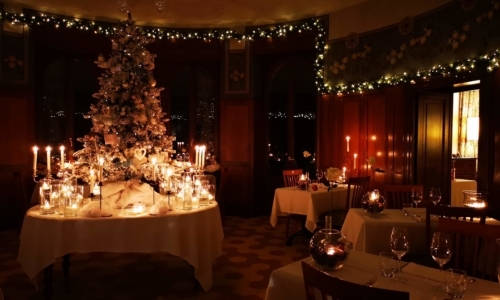 Choose a truly timeless gift: discover “Lusso di Coppia” at Al Borducan Romantic Hotel & Restaurant.